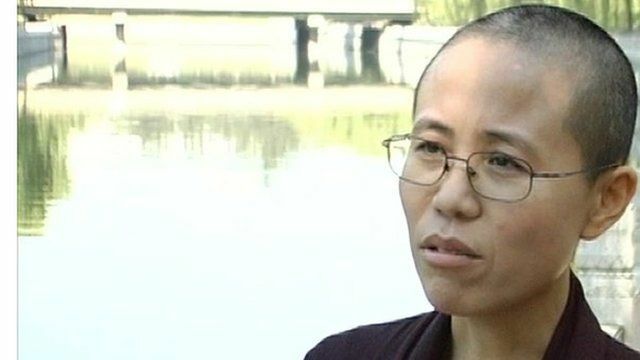 Liu Xia, the wife of Nobel Peace Prize winner Liu Xiaobo, has spoken to the BBC about his sense of "responsibility and duty". Norwegian Nobel Committee president Thorbjoern Jagland said Mr Liu was "the foremost symbol of the wide-ranging struggle for human rights in China". Mr Liu is currently serving an 11-year prison sentence for "subverting state power". Liu Xia visits her husband once a month at the prison where he is serving his sentence, in Liaoning Province in north-east China.